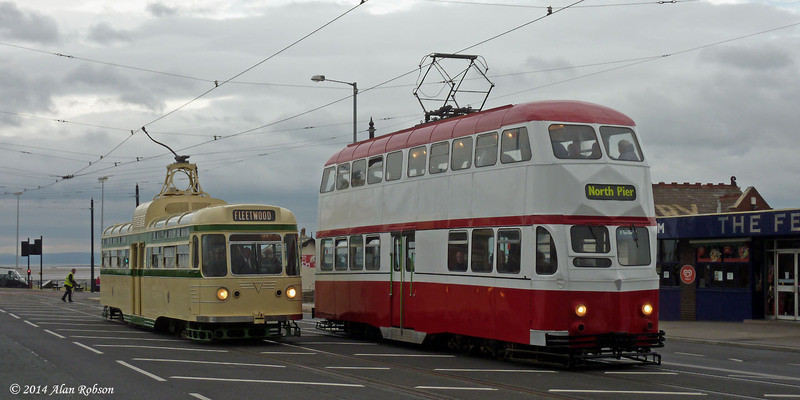 On the final day of the August Bank Holiday Heritage Tour weekend, the theme for the tram output was "Anything Goes", and that certainly proved to be the case. 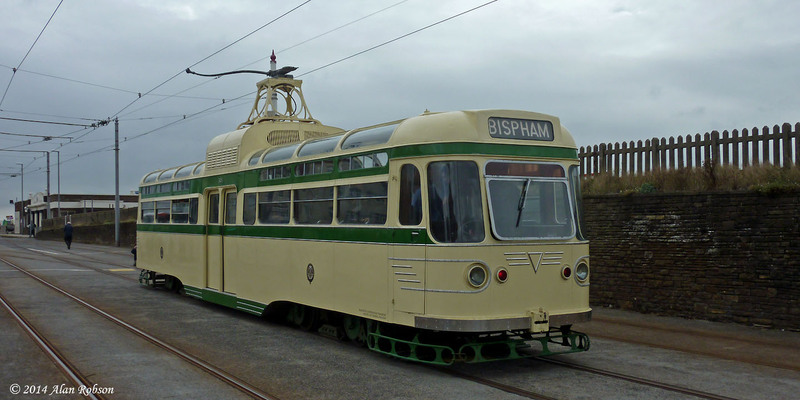 The morning tour to Fleetwood was operated by Brush Car 631 and Pantograph 167, the latter on its last day of operation on Heritage Tours before its return to Crich. 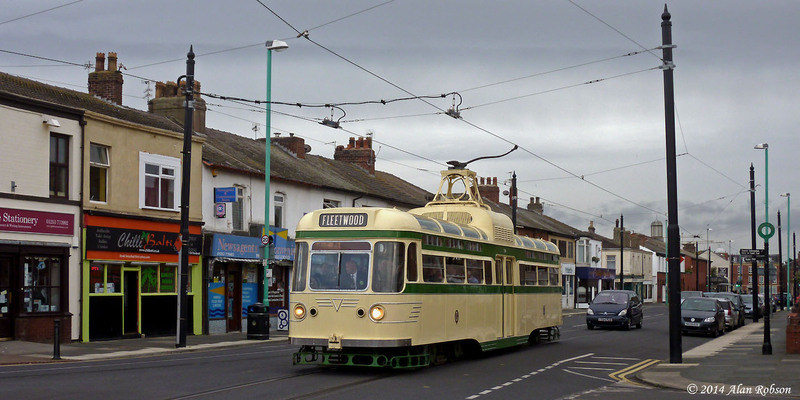 Both trams ran to Fleetwood with maximum capacity loads, once again highlighting how popular the heritage operation weekends have become. Balloons 701 and 717 joined the throng just after midday. Brush 631 returned to Rigby Road depot early in the afternoon, to be replaced by Centenary Car 648. 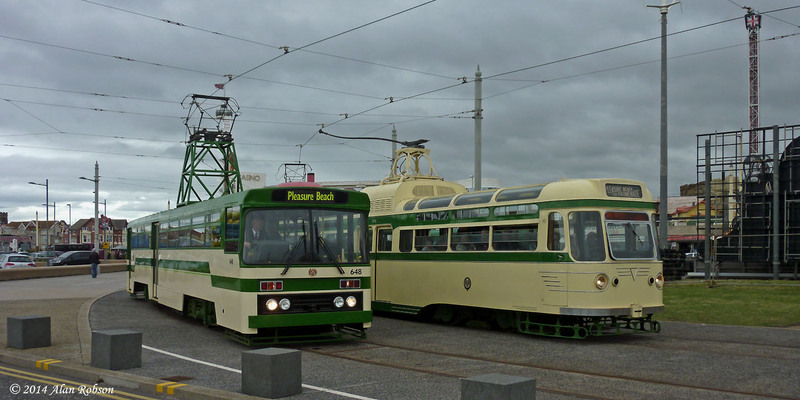 The final tram swap of the day occured after Pantograph 167 had returned to Rigby Road for a crew break. 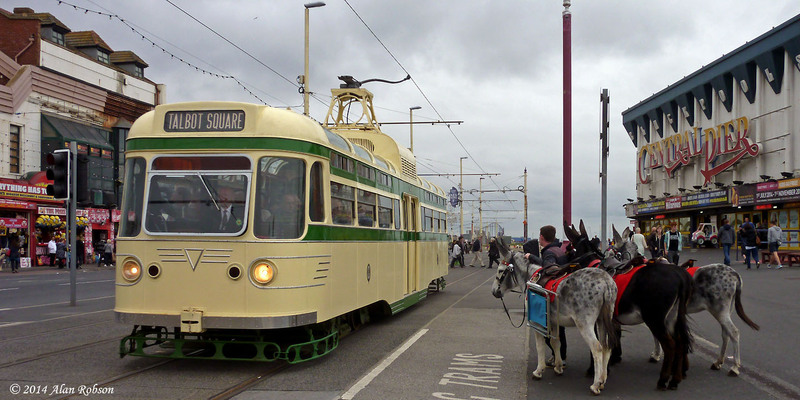 An hour and forty minutes after 167 had returned to the depot, which seemed like an eternity to the expectant crowd, the final tram of the day arrived at the Pleasure Beach. 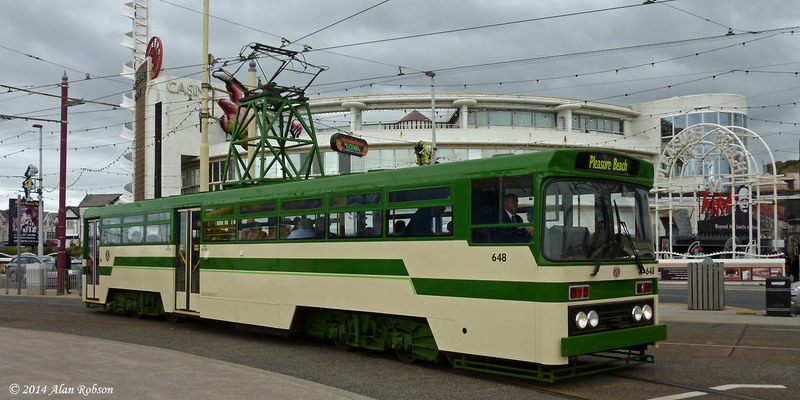 As was widely anticipated this proved to be the very popular choice of Coronation 304, making its debut on Heritage Tours as the first of the returned former Lancastrian Transport Trust trams to be reactived to operational status. 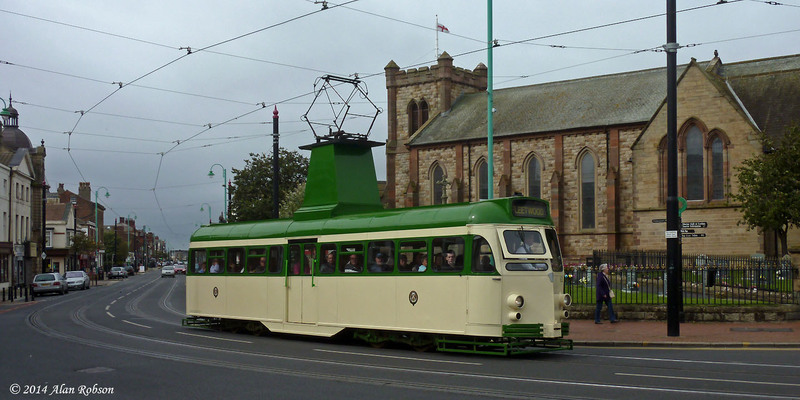 The few trips that 304 made were, as was to be expected, in great demand, the tram running with standing loads on each occasion. 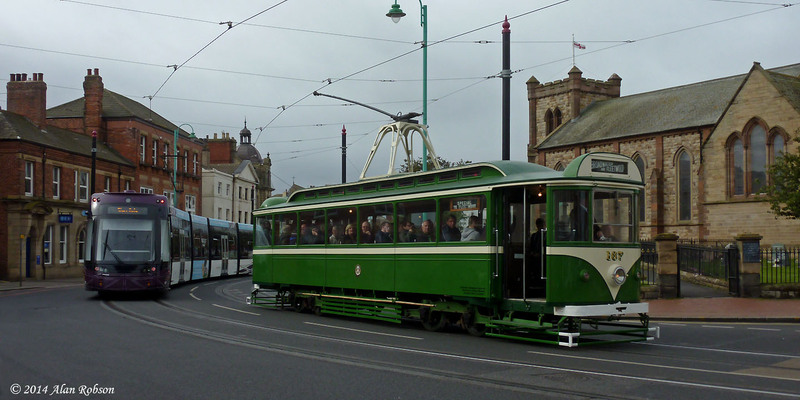 For the final tour of the day, the round trip to Fleetwood Ferry, 304 was used backed up by Balloon 701 to cater for the large number of people wanting to sample a ride to Fleetwood and back. 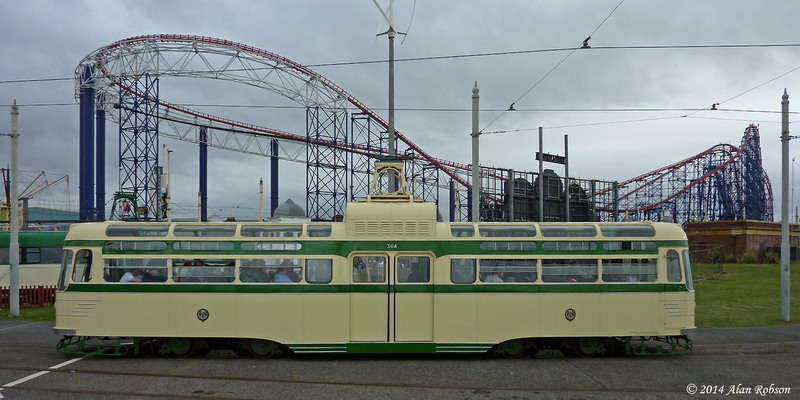 Thus this last tour brought to a close 2014's weekend Heritage Tour operations, with the last event of the year proving to be especially popular, probably due in no small part to the chance to ride Coronation 304 on Blackpool rails again for the first time in four years. I was there once more on the Monday; a last ride on 167 was good, but that was quickly eclipsed by the appearance of 304. I'm hardly surprised that both vehicles were packed to the rafters! 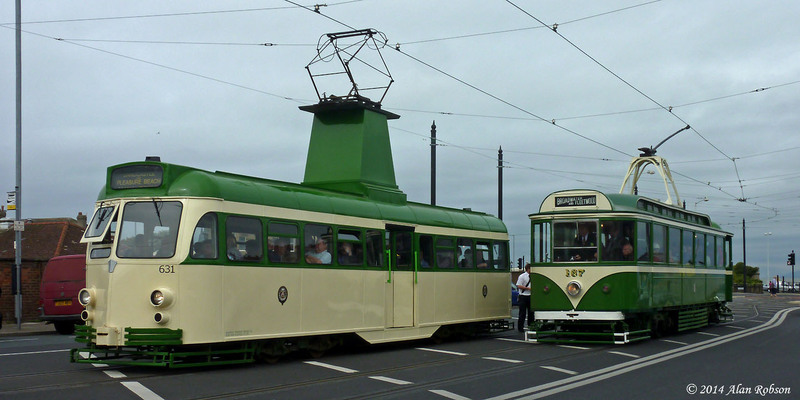 2014 started off on a slightly sour note with the budget cuts to the transport department, but I would hope that this weekend (along with the previous operations) will once more justify the case for a future for Blackpool Tramway's heritage fleet in their home town. Mr Lindop and his merry helpers are also to be commended once more for their time, patience and sterling effort into pulling it all off! Great review and snaps as ever Alan, keep 'em coming! Thanks for the positive comments David, yes 167 and 304 on Heritage Tours on the same day, what more could one ask? A thoroughly enjoyable weekend was had by all!